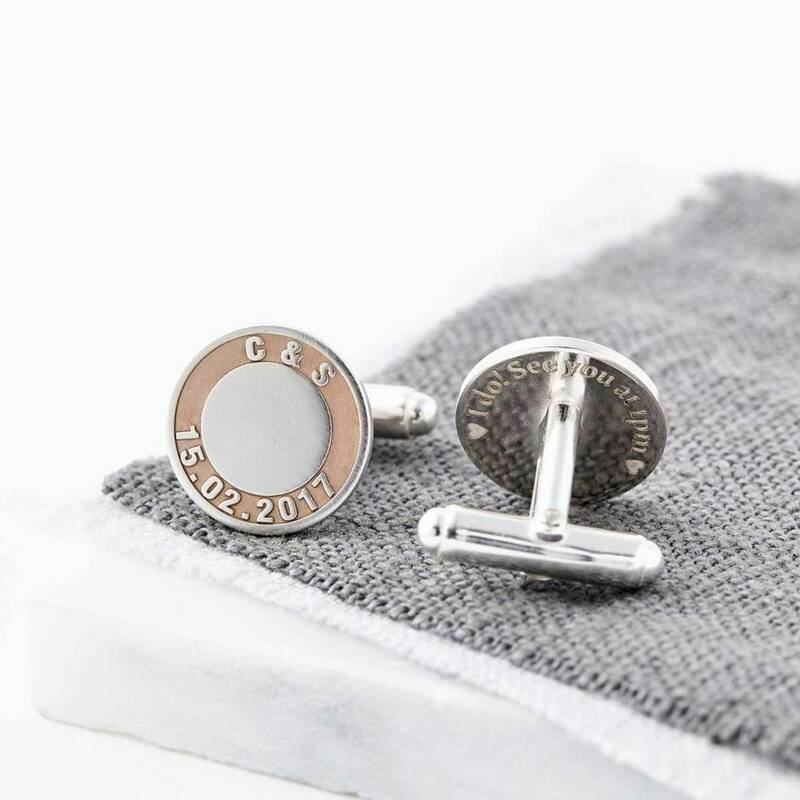 Stunning personalised rose gold and silver cufflinks engraved with initials and a date, highlighted with 18ct rose gold. 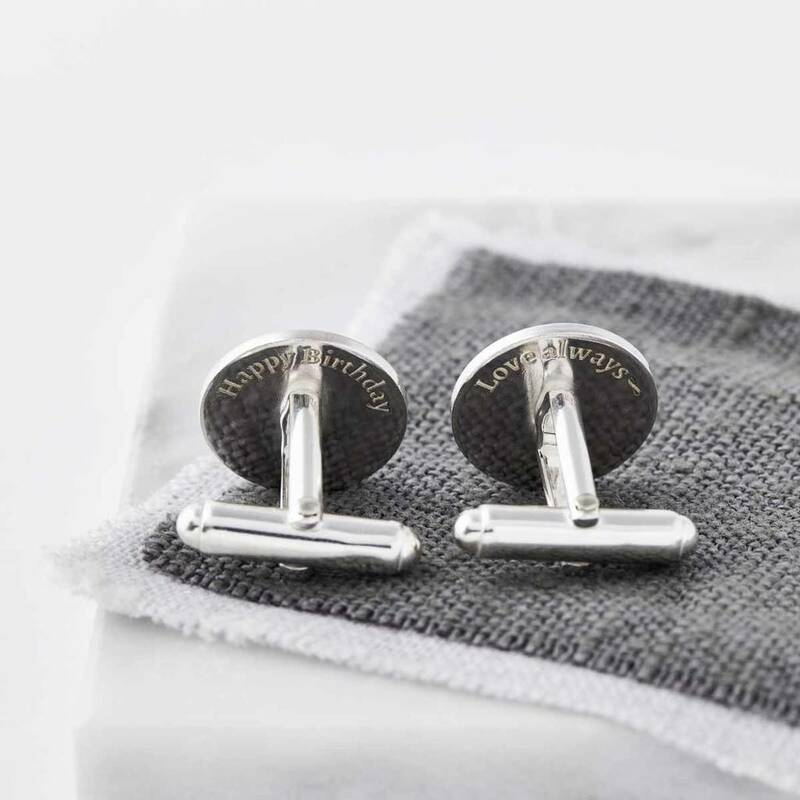 Hand made to order in our studio, we etch the solid silver round cufflinks with intials and date. We then highlight the monogram using 18ct rose gold. 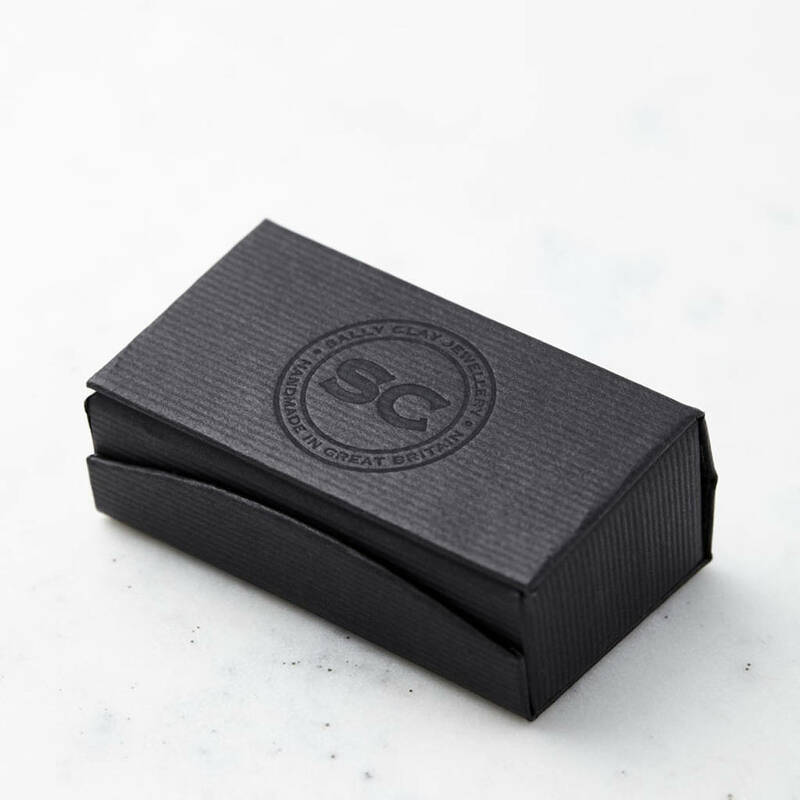 We can etch the same initials and date on both cufflinks, or you can have different initials and dates on each cufflink - perfect if you want the initials and dates of birth of your children.